Novo Precision is a progressive supply chain partner with world class engineering and continuous improvement capabilities. They have the capability to design, fabricate, and build manufacturing processes to make your components or to design a turnkey process to manufacture your products. They specialize in precision wire components, cut-to-length wiring, precision machining, and equipment & engineered systems. 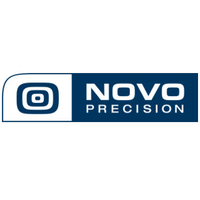 Contact Novo Precision for the highest quality precision components, assemblies, and equipment that continually exceed customers’ expectations.